CHARLOTTE, North Carolina — The CIAA basketball tournament has always been a time to recognize the collective power of historically black colleges and universities (HBCUs). Whether people attended a conference school or not, coming to homecoming has become like a family reunion. 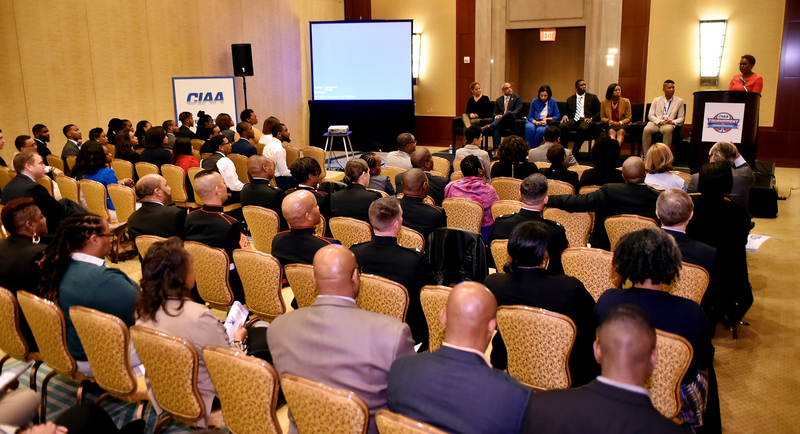 So it is no surprise that the diversity and inclusion panel Thursday hosted by the CIAA portrayed the same theme. CIAA officials, college alumni, NCAA personnel, 48 student-athletes and even the governor of North Carolina, Roy Cooper, gathered to highlight the strength of HBCUs. The CIAA Diversity and Inclusion panel discussion and VIP reception took place at the Ritz Carlton in uptown Charlotte, North Carolina. Panelists include: (from left to right) Stacey Holman, producer of Emmy Award-winning films and adjunct professor at the City College of New York; Makola Abdullah, president of Virginia State University; Katrice A. Albert, NCAA executive vice president of inclusion and human resources; and student-athletes Tony Credle of Fayetteville State University and Jaylaan Dillard of Johnson C. Smith University, moderator Nevin Caple, CIAA diversity and inclusion consultant, and CIAA commissioner Jacqie McWilliams. After showing a segment of the Stanley Nelson documentary film Tell Them We Are Rising: The Story of Historically Black Colleges and Universities that focuses on the collective story of historically black institutions in America, it was time for the panel to speak. The panel included NCAA executive vice president of inclusion and human resources Katrice Albert, Tell Them We Are Rising co-producer Stacey Holman; Virginia State University president Makola Abdullah; Fayetteville State football player Tony Credle and Johnson C. Smith track standout Jaylaan Dillard; and Nevin Caple, CIAA diversity and inclusion consultant. While all the panelists provided insights about the power of HBCUs, Abdullah seemed to be the most outspoken. Two students who have seemingly made change happen on their campuses are Credle and Dillard. Both are leaders in their Student Athlete Advisory Committees and have each stockpiled impressive résumés. As the only two students on the panel, each spoke candidly about why they chose to attend their HBCUs. In telling their stories, both student-athletes referred to the feeling of empowerment they’ve gotten from attending an HBCU. They have a sense of pride and unity that even people who chose to attend predominantly white universities can feel, that sense of community among HBCU students and alumni. 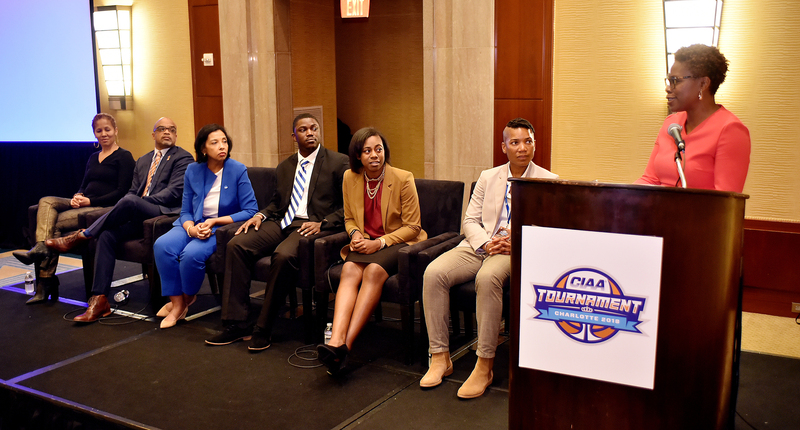 Tournament week, just as the panel illustrated, is just a microcosm of the CIAA community. It is an event where students, athletes, band members, fans, administrators and alumni can come together and celebrate the pride and influence of HBCU excellence, no matter which team takes home the championship.